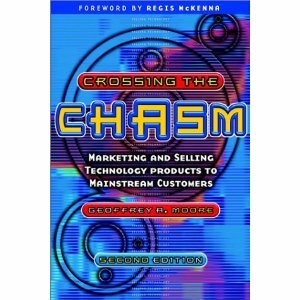 Crossing the Chasm is one of the classic books on marketing and selling technology products to mainstream customers. It was written in 1991 and revised in 1999, but it is still a valuable resource for understanding how technology products get adopted by customers. The author starts by describing the characteristics of each type of consumer in the technology adoption life cycle: innovators, early adopters, early majority, late majority, and laggards. The main argument of this book is that technology adoption is not continuous and there are cracks in between each of these type of consumers’ adoption. Moreover, the major gap is the one that separates early adopters from early majority, which the author calls “chasm”. The book defines the strategy to cross the chasm and gives examples of companies who took this approach. When a product reaches late majority, it must be made increasingly easier to adopt in order to continue being successful. By being the first to implement this change in their industry, early adopters expect to get a jump on the competition, whether from lower porduct costs, faster time to market, more complete customer service or some other comparable business advantage. Early majority want to buy a productivity improvement for existing operations. They want evolution, not revolution. They want technology to enhance, not overthrow, the established ways of doing business. Early adopters do not make good references for the early majority. When promoters of high-tech products try to make the transition from a market base made up of visionary early adopters to penetrate the next adoption segment, the pragmatist early majority, they are effectively operating without a reference base and without a support base within a market that is highly reference oriented and highly support oriented. The notion that part of what defines a high-tech market is the tendency of its members to reference each other when making buying decisions is absolutely key to successful high-tech marketing. Early adopters are visionaries, they tend to be recent entrants to executive ranks, highly motivated, and driven by a dream. The core of the dream is a business goal, not a technology goal. Visionaries are not looking for an improvement: they are looking for a fundamental breakthrough. Early adopters drive the high-tech industry because they see the potential for an order-of-magnitude return on investment and willingly take high risks to pursue that goal. They are least price sensitive of any segment the technology adoption profile. Outgoing and ambitious as a group, they are usually more than willing to serve as highly visible references. Early adopters are easy to sell but very hard to please… The other key quality of early adopters is that they are in a hurry. They see the future in terms of windows of opportunity, and they see those windows closing. Early majority are pragmatists, their goal is to make a percentage improvement – incremental, measurable, predictable progress. References and relationships are very important to those people, they won’t buy from you until you are established, and you can’t get established until they buy from you. Pragmatists want to buy from proven market leaders because they know that third parties will design supporting products around a market-leading product. Late majority are conservatives, they like to buy pre-assembled packages, with everything bundled, at a heavily discounted price. They want high-tech products to be like refrigerators – you open the door, the light comes on automatically, your food stays cold, and you don’t have to think about it. The products they understand best are those dedicated to a single function. To enter the mainstream market is an act of aggression. Cross the chasm by targeting a very specific niche market where you can dominate from the outset, force your competitors out of that market niche, and then use it as a base for broader operations. 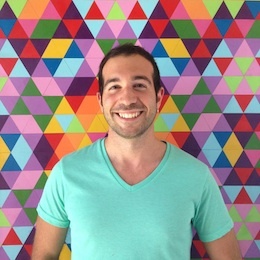 One of the keys in breaking into a new market is to establish a strong word-of-mouth reputation among buyers. For word of mouth to develop in any particular marketplace, there must be a critical mass of informed individuals who meet from time to time, and in exchanging views, reinforce the product’s or company’s positioning. It is critical that, when crossing the chasm, you focus exclusively on achieving a dominant position in one or two narrowly bounded market segments. Make a total commitment to the niche and then do your best to meet everyone else’s needs with whatever resources you have left over. The fundamental principle for crossing the chasm is to target a specific niche market as your point of attack and focus all your resources on achieving the dominant leadership position in that segment. For the actual chasm crossing applications have a huge advantage. When markets go mass, platforms have the advantage. It is extremely difficult to cross the chasm in a consumer market. Almost all successful crossings happen in business markets, where the economic and technical resources can absorb the challenges of an immature product and service offering. The goal of positioning is to create a space inside the target customer’s head called “best buy for this type of situation” and to attain sole, undisputed occupancy of that space. Overall, the focus is on enterprise sales, not consumer products. It reads like a textbook and is not very entertaining. If you’re really interested in marketing technology products, this book will be useful.